The AhlulBayt Islamic Mission (AIM) has been informed of an alarming incident that took place on the evening of Tuesday 14th August 2012 at an event organised by ‘Khodam Al Mohsen ibn Ali’ in which his Eminence, the Supreme Leader, Ayatollah Khamenei was cursed in a lecture. 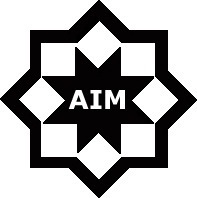 AIM condemns all groups and individuals who indulge in cursing and doing takfir of our great scholars and religious authorities; and calls on everyone to undertake the utmost of discipline and vigilance in these testing times. AIM is confident in the conscious spirit of our community to uproot such evil and believe that it is today everyones responsibility to silence this rhetoric that is sowing division amongst Muslims.